Nobody seems to like this idea. The city of Houston’s education czar and three well-connected, civically engaged residents plan in the coming weeks to seek control of some long-struggling Houston ISD schools in a bid to improve academic outcomes and help the district stave off major state sanctions tied to chronically low performance at the campuses. 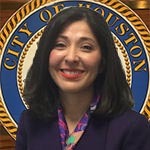 State business records show Juliet Stipeche, the director of Mayor Sylvester Turner’s Office of Education Initiatives, and the three board members have formed the Coalition for Educational Excellence and Equity in Houston, a nonprofit that could partner with HISD to take over campuses under a state law encouraging charter agreements between school districts and private organizations. If an agreement with HISD were struck, the nonprofit envisions assuming control of academics, finances and governance at an undetermined number of schools. The portfolio likely would include four campuses in danger of triggering sanctions — either forced campus closures or a state takeover of HISD’s locally elected school board — if any one of them fails to meet state academic standards in 2019. In exchange, the state would provide an additional $1,800 per student in funding to the nonprofit, and it would grant HISD a two-year reprieve from sanctions if it surrendered control of the four campuses. HISD Interim Superintendent Grenita Lathan and school board members have shown little enthusiasm for such arrangements to date, but they have not precluded the possibility ahead of a state-imposed deadline in early February 2019 to submit any agreements. The arrangements are intended to be temporary, with control over the campuses returned to a school district after a contractually agreed-upon period. Stipeche, who served as an HISD trustee from 2010 to 2015, said the coalition will seek to engage other local civic organizations in providing resources to students who attend schools that often fail to meet state academic standards. The coalition has not yet solidified its educational framework or crafted a proposal for public viewing, Stipeche said. The coalition includes three founding board members: Trinidad “Trini” Mendenhall, the co-founder of the grocery chain Fiesta Mart and president of the real estate investment firm Fulton Shopping Center; Stephanie Nellons-Paige, the vice president of external affairs for Texas Central Railway and wife of former HISD superintendent Rod Paige; and Corbin Robertson Jr., CEO and chairman of the mining company Natural Resources Partners. See here, here, and here for some background. HISD doesn’t seem to be into the idea, there’s some very vocal opposition from activist groups, and as Campos reasonably notes, the city has its own big issues to deal with instead of trying to solve the problems that HISD’s trustees were elected to solve. All of that mitigates against the city getting involved, but I find it hard to get too upset over this. Not to be all alarmist or anything, but the clock is ticking, and I don’t know what HISD’s intentions are. Obviously, it would be great if the schools could be brought up to standard this year – that is the ultimate goal, after all. Alternately, getting a bill passed in the Lege to modify the law that is putting HISD under the threat of takeover by the TEA would obviate the need for this kind of intervention. All I want to know is, what is the plan if these things don’t happen? Given what the law as it is mandates, what is the least objectionable outcome if one or more schools do not measure up? I don’t know what the consensus answer to that is, or even if there is one. I would love to see this resolved with a fully positive ending – successful schools, functioning governance at HISD, sufficient engagement by and with the parents and students and teachers and residents of the affected neighborhoods, etc. I just want to know what Plan B is if that doesn’t happen. Maybe juliet stipeche could try using her overpriced ut law degree to come up with ways to keep city employees out of poverty first? It’s obvious why these schools are under performing… socioeconomic reasons that could be partially solved with raise-the-wage ordinances. Unfortunately the black and female democrats on city council are just glorified living room furniture.